What is the art of sculpture? Japanese artists have extraordinary answers for this loaded question. These sculptors are pioneers who are constantly challenging our preconceived ideas about art sculpture. They have come up with ingenious uses of materials and forms, from clay and bamboo to androids and digital photography! These 10 boundary-pushing masterworks will change what you thought you knew about modern art sculpture. 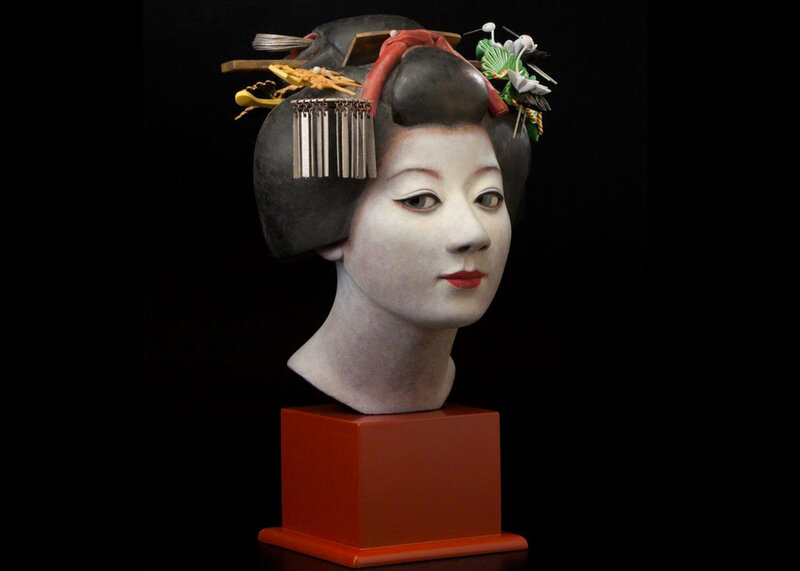 Art sculptor Satoshi Yabuuchi brings snapshots of history to life with this impeccable study of Edo fashion. This expressive wood sculpture depicts a particular Edo era (1603-1868) hairstyle and decoration, called Sakko that was popularized by young married women of western Japan. It is still styled today by Kyoto’s maiko when they graduate to geiko (geisha). Check out Y’s Gallery for more Yabuuchi’s stunning creations. Look closely at this skilfully harmonious clay sculpture. Plates of clay are layered together to create the distinct architectural composition. This remarkable flower vase highlights sculptor Izuru Yamamoto’s pursuit of the immense capability of clay. Hand-crafted with clay from Bourgogne, France for its particular properties, Yamamoto spent years developing this cutting-edge pottery technique named Tsumiage, which refers to the towering layered craftsmanship. 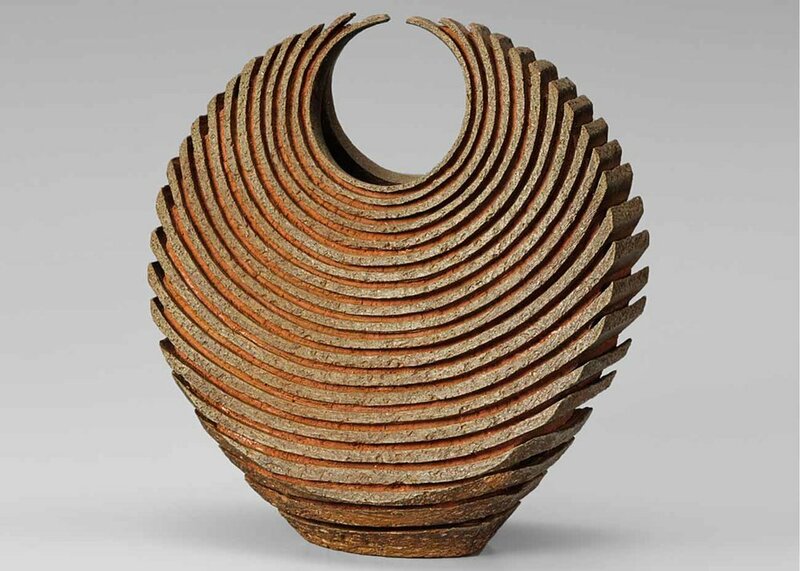 He is recognized as a Living National Treasure for his life-long work in pottery and sculpture. You can learn more about master potter Yamamoto on his official website. When you look this extraordinary metal sculpture, do you see the deer forming or disappearing? Up-and-coming sculptor Tomohiro Inaba utilises solid steel wires to create this inspired pencilled scribble effect. All of his sculptures begin with objects anatomically whole, which then undergo this striking metamorphosis where each single wire adopts a life of its own! Explore Inaba’s highly imaginative sculptures at tomohiro-inaba.com. 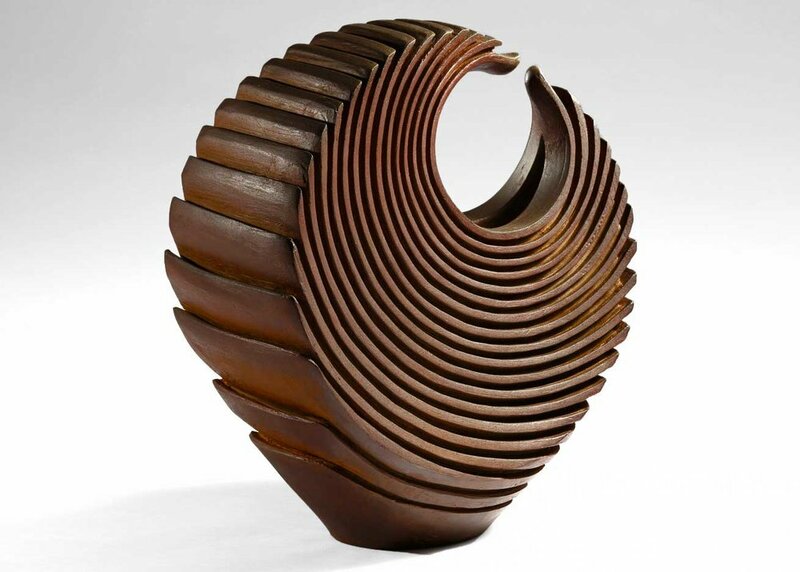 Pushing the boundaries of sculpture from the physical form to the super-flat of the digital. 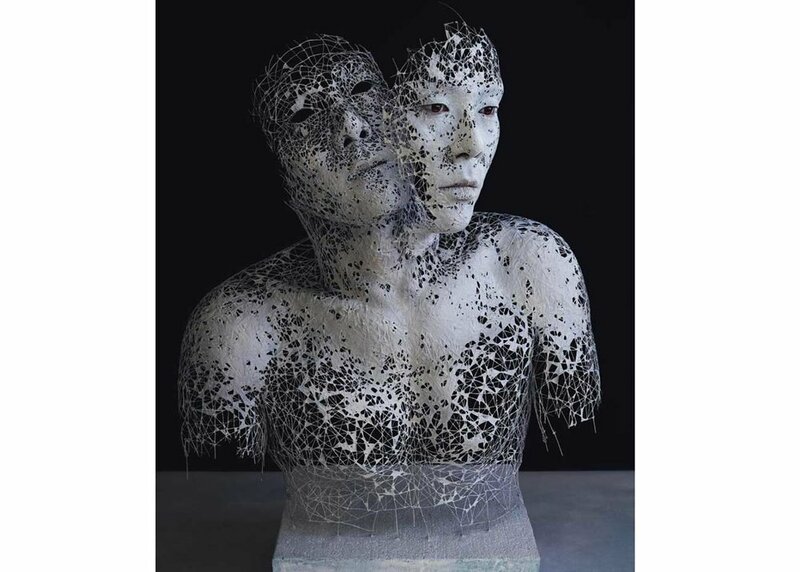 Artist Yuichi Ikehata begins his unconventional sculpture with a wire frame, accentuated with clay and paper. The model is then “sculpted” digitally to bring these fantastical beings to life. Enjoy more of Ikehata’s cutting-edge photography at works.kakuunohito.com. Can you guess what these amazingly life-like monkey sculptures are made from? Artist Chie Hitotsuyama uses rolled up strips of newspaper to recreate these charming animal sculptures. In fact, Hitotsuyama has created a whole menagerie of sculptures in this way, and it is absolutely incredible the level of detail she is able to achieve! Check out her site at hitotsuyamastudio.com to see more. In years to come, robots and their makers will recall the innovative work of Hajime Sorayama. Sorayama has worked pioneering android sculpture and illustration for over forty years. Conceptual metal sculpture such as this one, have helped to revolutionize public attitudes to robotics. Through his art, robots can be seen as arresting, fun, and a positive direction for future technological development. This model was exhibited at the Mori Art Museum in Tokyo. You can find out more about the artist at sorayama.jp. Textile artist Hiroyuki Shindo has dedicated his life to the advancement of the centuries-old Japanese indigo dye technique. 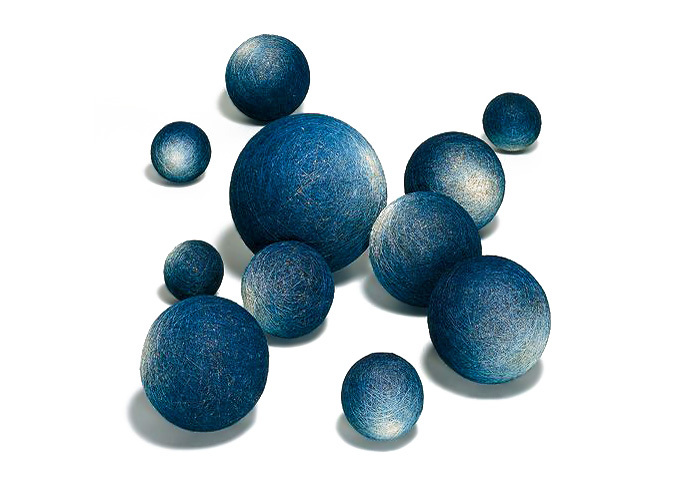 Using the rich Neptunian color to create original art sculpture in the form of these exceptional textile balls, he aims to draw much-needed attention from across the world. You definitely should visit his Little Indigo Museum in a dedicated 200 year old wooden home just outside Kyoto: shindo-shindigo.com. You can almost feel the spray from the eponymous Abundant Waters of Yamaguchi Ryuun’s bamboo sculpture. The tilt of the boat with its fine hull weave may bring to mind the struggling craft in Hokusai’s famous Great Wave. Is that a great wave crashing over the deck? 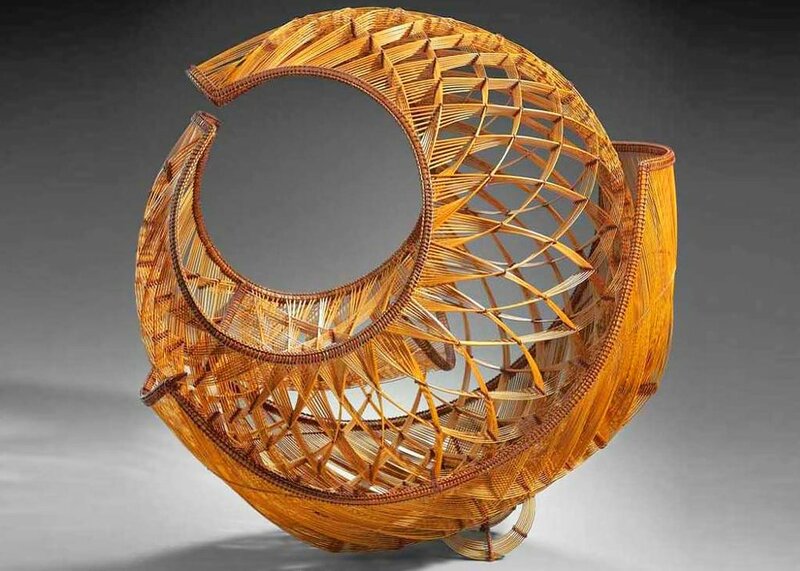 For 60 years Ryuun has been weaving together bamboo arts that set the imagination afloat. This sculpture is part of the collection of the Museum of Fine Arts, Boston at mfa.org. Conceptual artist Tokujin Yoshioka conjures this human-form sculpture from a single piece of acrylic resin. 365 separate sheets cut from resin were assembled into an anthropomorphic grid. The result is a series of expressive and vivacious mannequins, which were installed at the Tokyo National Art Center for an outstanding exhibition by fashion icon Issey Miyake. Find out more about this innovative artist at tokujin.com. Are Masaya Kushino’s ‘bird-witched’ shoes wearable art sculpture or collectible fashion? Kushino began his career as a fashion designer, but was attracted by the sculptural potential of footwear, and started his own label in 2007. “Clothes are considered well-shaped only when a person actually wears them, but in the case of shoes it’s a whole different thing because the shapes evolve on their own,” says Kushino. Kushino’s statuesque sculpture appeals to art collectors and fashionistas alike. This pair will form part of the collection at London’s prestigious V&A Museum. Visit this original designer at his site at masayakushino.jp. Which of these sculptures did you enjoy the most? What is the art of sculpture to you? Tell us what you think in the comments below!